Since I got back from the La Leyenda Stage Race in early August I’ve been hard at work repairing my fitness and body. 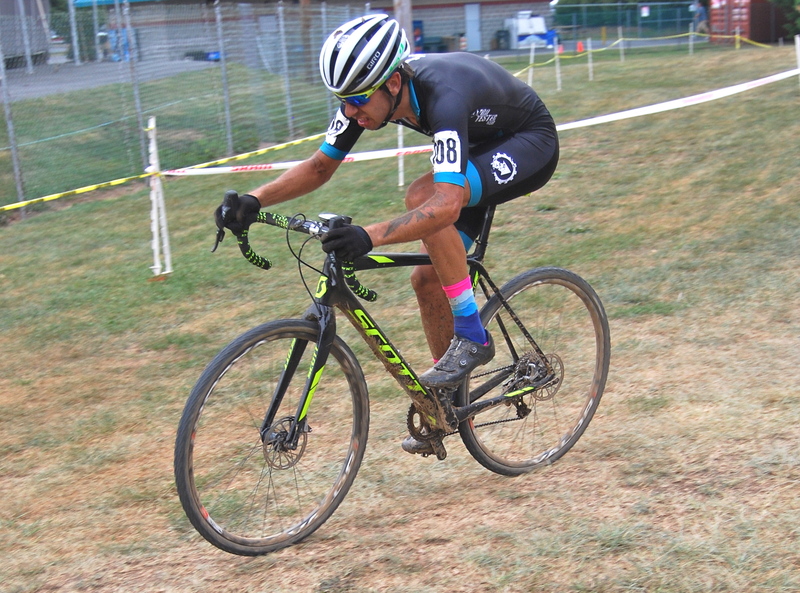 I had an exceptionally long XC mountain bike season, which started with the Bonelli Park US Cup the first week of March and ended with the Windham ProXCT finals the second weekend in August. After all that time on the road I needed to make sure I went back to the building blocks and shored up my fitness before coming into cross season. Immediately after returning from Windham I went to work on a massive three week training block. I primarily went for big volume to tune up my endurance and threshold, while also making sure I threw in a solid amount of core work to back/body on track. Having already had a full season of racing in my legs, it didn’t take long before I felt like my fitness was coming around. This year was the first season that I’ve ever had the time to prepare/train specifically for cross and I’m excited for the dividends this will pay once the the meat of the season is underway. When I lined up in Trexlertown last weekend, I knew I was on great form even if I was lacking a little bit of top end snap. 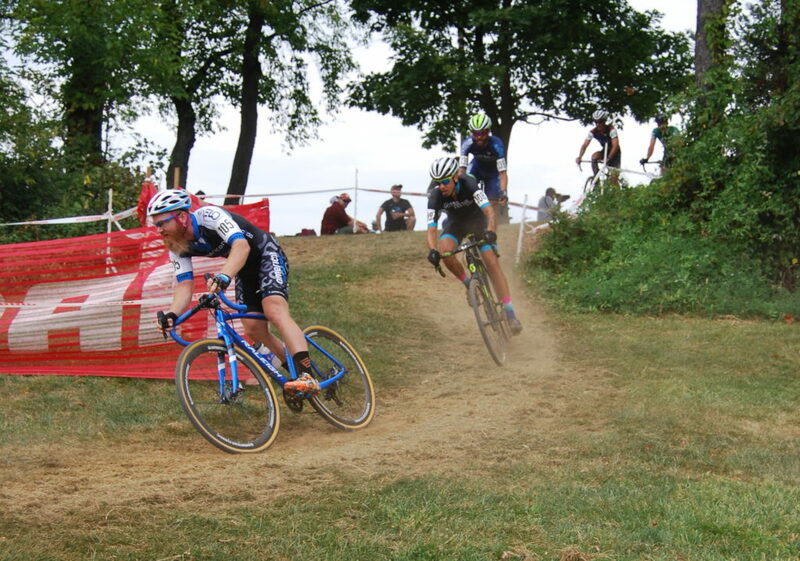 From the gun things were good, I challenged for my first ever holeshot and then settled into third wheel. 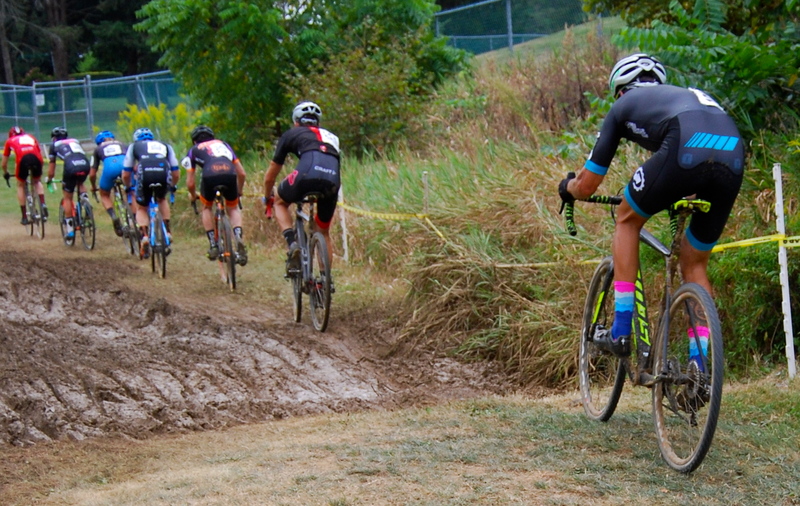 Our leading group of 5 quickly separated from the rest of the field and while the pace was hard, I felt in control. That was a great feeling, it was the first time I’ve ever made the front group and not felt maxed out. The hard training had payed off and now it was time to challenge for the podium. Errrrr, it would have been if I hadn’t pulled a seriously rookie move. 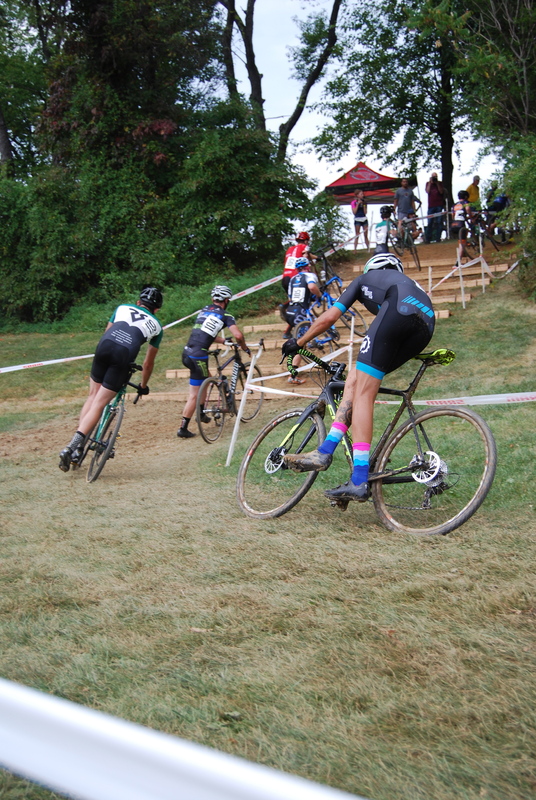 Coming into the barriers with less than 3 laps to go I pulled a full “Joey’s okay”, catching my toe on the top of the barriers and ejecting into orbit. I fell back to earth in a crumpled pile, collected my shattered ego and limped to the finish line. I pulled myself from the race to assess the damage and after some easy spinning and plenty of complaining, I was confident I would be okay. Just a bruised ankle and a very sore body. Nothing a handful of Ibuprofen and a good nights sleep couldn’t help. Waking up on the next day I felt more or less like I had been hit by a very large vehicle, like maybe a jet plane. Turns out rag dolling through the air doesn’t have great effects on the body. 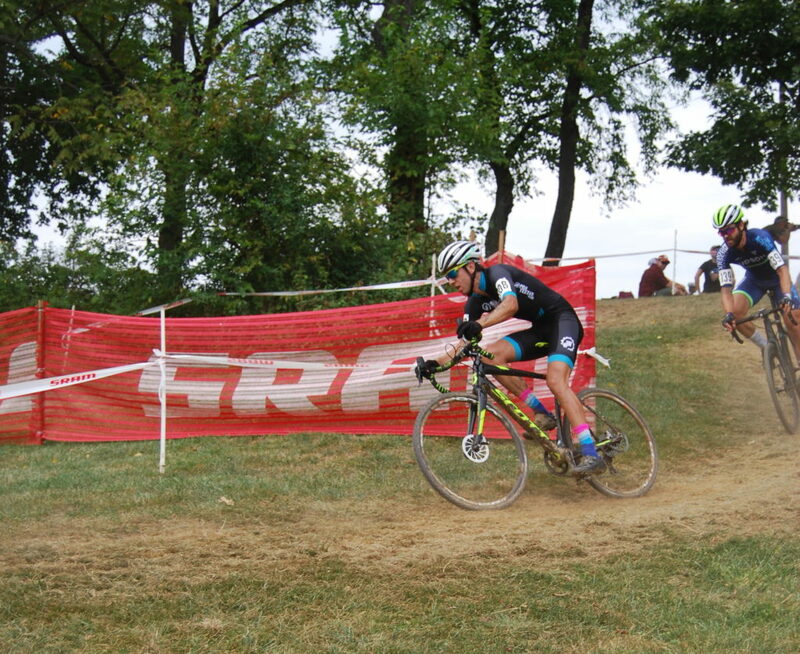 That being said, Sunday’s race went about as well as I could hope for. I was sore and feeling a bit flat but still managed to make it into the huge lead group of 12-15. I tacked onto the back of the group and thats where I stayed. Not fresh enough to move up but too damn stubborn to get dropped. After 60 minutes of playing the dangler (a role I played a few to many times last year), I rolled across the line in 12th. Nothing to write home about but hey, at least I finished today. After a great, focused preparation period and all the anticipation that comes with the start of a new season, it definitely hurt to not even come close to meeting my expectations. At the same time, how often do you meet your goals on the first try? I want to step onto the podium this year and I’m confident Ill get there. I just need to keep my head down, stay focused and remember to pick my damn feet up. I’ll be sticking around home this coming weekend, putting the final touches on my fitness for the year with some snappy workouts and time chasing a scooter around. Once we load up the Pro Tested Gear sprinter van for KMC Cross Fest, I’ll be racing for something like 10 weeks straight. I’m pumped for the season and even more stoked to be able share my journey through the trenches of American cyclocross!